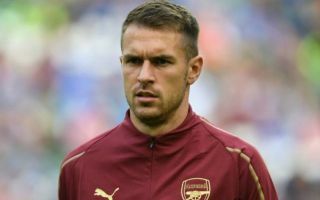 Arsenal have reportedly made the decision to keep Aaron Ramsey at the club until the end of the season and let him go on a free transfer once his contract expires. The Wales international’s future has been the subject of much speculation for some time, with numerous big clubs seemingly in for him. However, Arsenal currently feel they are unlikely to get any kind of bid this winter that is worth accepting as they decide they’d gain more from having Ramsey in their squad for the rest of the season instead, according to BBC Sport. The 28-year-old is linked in that piece with a number of elite clubs like Real Madrid, Juventus, Bayern Munich and Paris Saint-Germain. It is unclear why Arsenal have given up on such a top player, who seems set to join a genuine Champions League contender once he leaves the Emirates Stadium. As noted by BBC Sport, Arsenal withdrew their contract offer for Ramsey earlier this season. Even if Ramsey is not leaving this January, fans will surely hope some replacement can be signed soon.